It's been a nice 2 week break that has allowed me to ramp up my exercise schedule to normal levels. 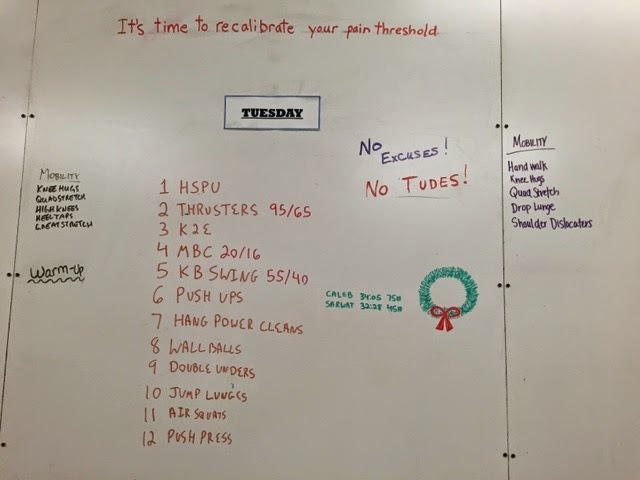 Crossfit WODs on 12/23 ("12 days of Xmas" where you do the 1 rep exercise and continue to add exercises and reps!). Christmas Eve and Christmas Day were dreary and lazy, though I did muster a 3 mile walk on the Lake Crabtree trail. My back was hurting pretty bad though so not much fun to be had. On 12/27, I did 2 laps at Governors creek on a full suspension bike - happy happy happy! Unfortunately 2 miles left at the end, my lower back had seized up and it was a struggle to finish. I still got 13.2 miles though! Saturday and Sunday were lazy with a little yoga thrown in. Monday- since the weather was crappy and trails were closed, I did 16 miles at Umstead. I also went to the gym and did a low key WOD (modified). 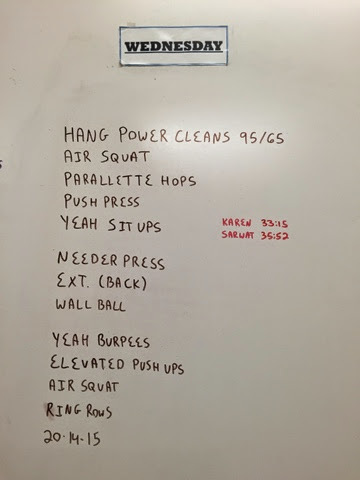 On Wednesday, I did the New Year WOD (taking it easy on the weights and no jumping). On New Year's Day, I rode Rocky road, a trail I haven't seen in months! It was tough, I'm back at square two with that trail but I'm not giving up on it. On Friday, I went to the gym and worked on my back and shoulder mobility and then had a fun but jelly leg inducing ride at San Lee. This weekend was rainy and wet so more fun Umstead rides. My weekly mileage was 70 miles this week! What a great way to start the new year.